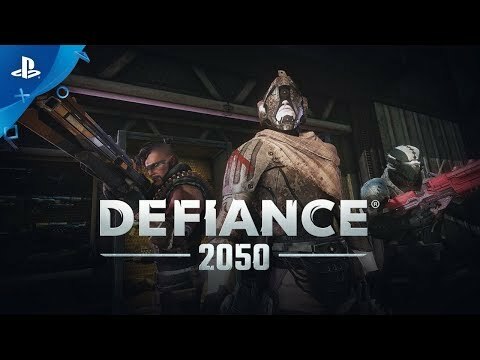 Continue the fight in Defiance 2050, a Free-to-Play online shooter that redefines intense co-op action. Join your friends and become an Ark Hunter in a massive cooperative online shooter like no other. Choose from an array of fully customizable weapons and classes, explore a unique futuristic open world, and engage in epic fast-paced, third-person shooter combat. 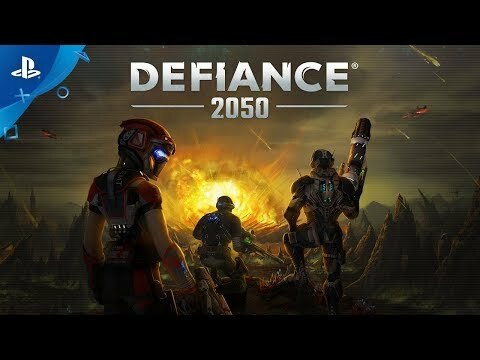 Paradise is waiting: Continue the fight in Defiance 2050! Unlock all 4 initial base classes and more. Become the ultimate Ark Hunter! Unlock all 4 initial base classes, as well as the Crusader and Engineer classes, $50 worth of Bits and more. ©2018 Trion Worlds, Inc. Trion, Trion Worlds, Defiance, Defiance 2050, Glyph and their respective logos, are trademarks or registered trademarks of Trion Worlds, Inc. in the U.S. and other countries. Syfy, UCP and their respective logos are trademarks or registered trademarks of Universal Studios. Portions ©2018 Universal Studios. All other trademarks and logos belong to their respective owners. All rights reserved.